1. I lost the Serial Number, how can I do? Ans. 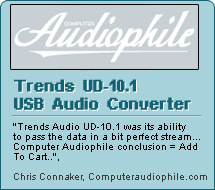 : Firstly, you must register at TrendsAudio.com. And then, send us your photo of Trends TA-10 for confirmation. 2. Can I join this program if the TA-10 is defective? 3. Can I join this program if I use another Class-T amp. ? Ans. : No. It is for Trends user only.